For Tom, the bills, the mortgage, and Jenny's unexpected pregnancy add up to terror. He's not ready for this kind of responsibility. Then he finds the thing in the basement. It makes him feel like a winner even as it scrambles his senses. A new job soon has him raking in the big bucks—enough that Jenny can start making her entrepreneurial dreams come true. The Chrysalis was an entertaining read. 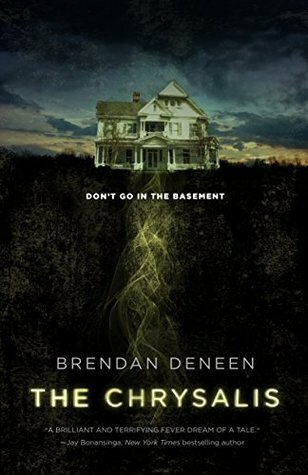 I didn't find it scary per se (perhaps because I don't have a basement), but it was gripping, and with each page turn, I wanted to find out what would happen next. There was a filmic quality to the piece, which makes sense as I know discussions about a film were underway at the time of writing, and I can certainly see this working well as a horror movie. For a horror book, I felt it was a little lacking in the scares, being more creepy than outright horrific, but the characters were well drawn and the pacing generally good. I think the story might excel more on the screen, but it was still a decent read and worth a couple of hours of your time. 3.5 stars from me.